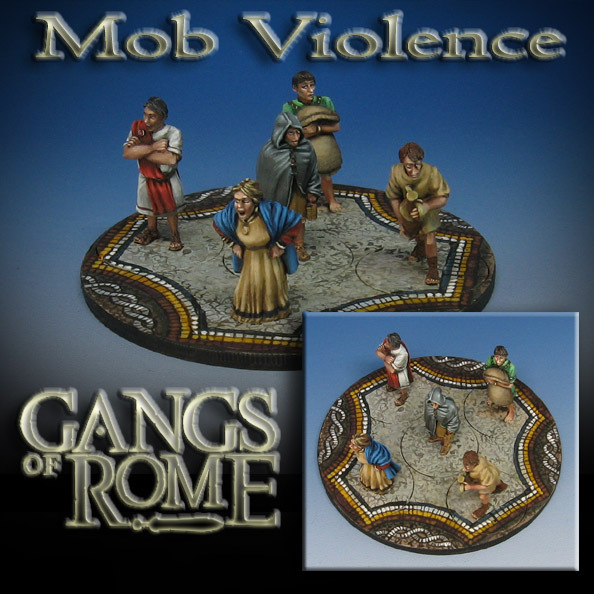 We return to the mean streets of Rome once more to show the last of the mobs, part of the new Gangs of Rome set by Warlord Games. As I have mentioned in previous posts, the most interesting aspect of the game for me is the random ways in which the mobs will react to the fighting going on around them. They might run away, they might assist their favorite gladiator... or they may just try to kill him! One never quite knows how the crowd will react. As you can see, each mob has a very interesting characteristic. They really did manage to capture all manner of citizens, slaves, and passers by. Let's not forget the individual figures! 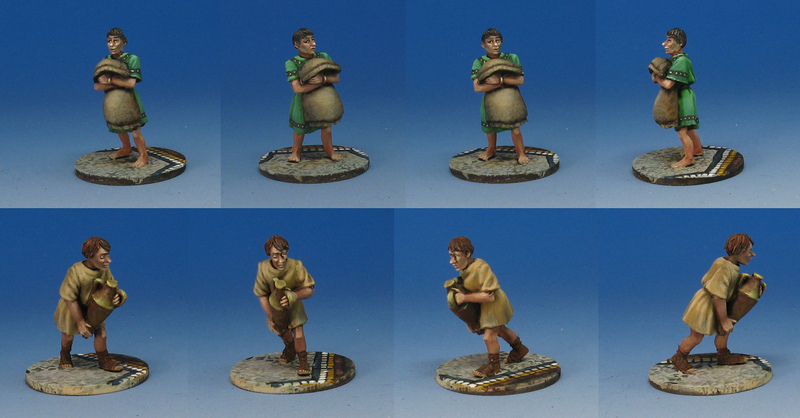 I think these guys aren't sure if they should drop what they are carrying and run away, or if they should bash someone on the head! 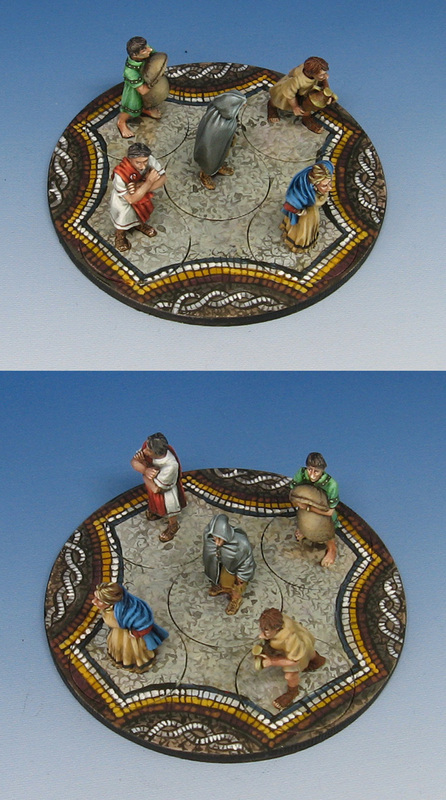 I do have another set of these, which I was thinking of using for a series of tutorial videos. 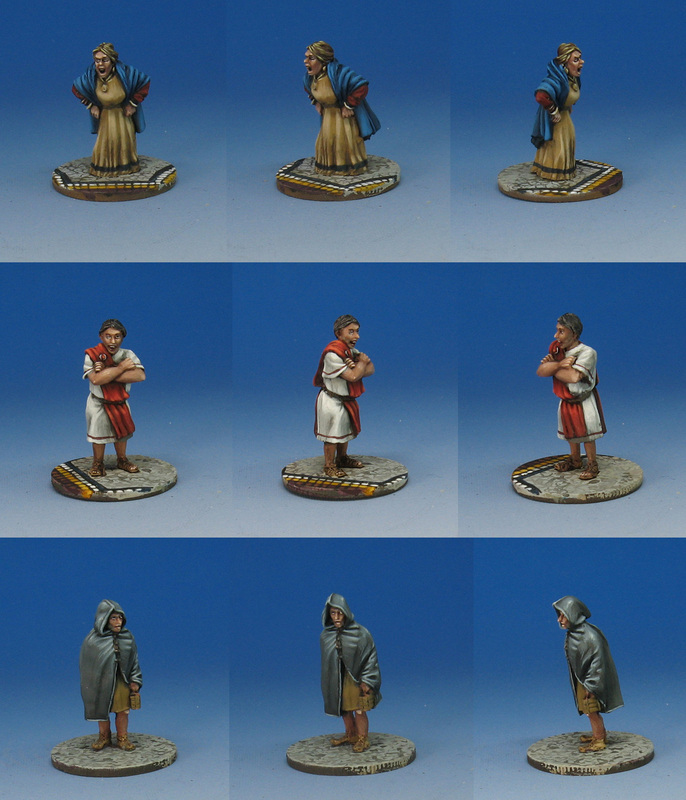 These would go into much more depth, showing how I did the skin tones on the individual figures as well as the clothing.